You’ve heard the term “Giving out jobs like candy?” Hold that thought. Remember LJIC’s Trend Vision? That La’ James International College fall event. It’s an incredible fashion and beauty extravaganza. 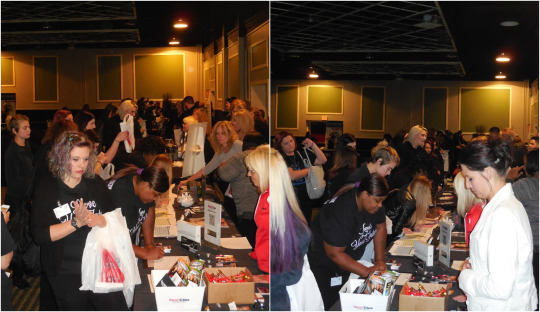 Employers and cosmetology professionals flocked to the event to evaluate the school’s new wave of talent and to find and recruit prospective new hires. We made the rounds at the event and talked the talk with industry insiders, recruiters and just about everyone. And according to the cosmetology professionals we talked to, there is great demand for LJIC graduates! “Our growth rate nationally is 10 percent year over year, and in Iowa it’s higher,” said Steph Johnson of Sport Clips. She works to hire new talent for the company. The stylists at Sport Clips get to wear athletics clothes, work in a fun environment, and be in an atmosphere that’s both relaxed and fast-paced. The two say there is a lot of walk-in traffic to help new stylists build up their clientele, and everyone agrees that’s a critical component of early success in the cosmetology industry. What are the primary factors for success in a hair stylist? “Attitude and perseverance,” Maria says. The reps both say they’re looking for energetic people with fun personalities. 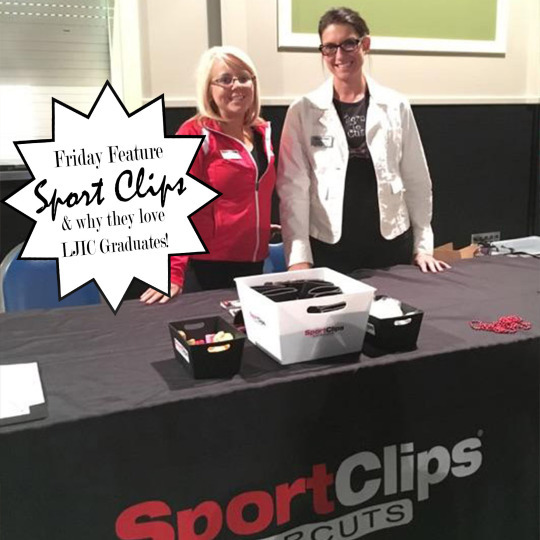 So listen up LJIC students, if you need more information on Sport Clips, and you didn’t get a handout, be sure to contact the Director of Career Services at LJIC and they’ll help you get in touch.